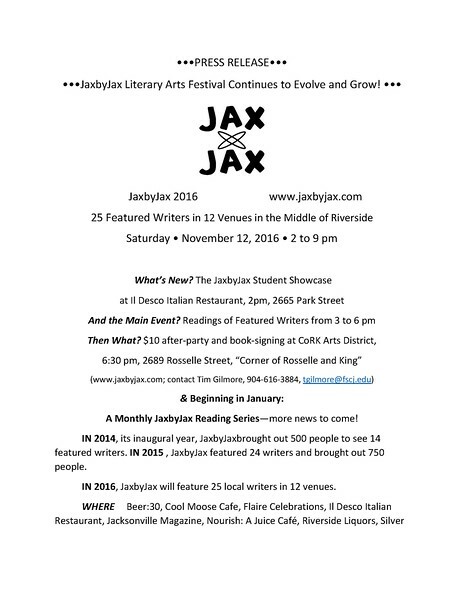 JaxbyJax, one of the most unique events about the city, will return for its third year this weekend. 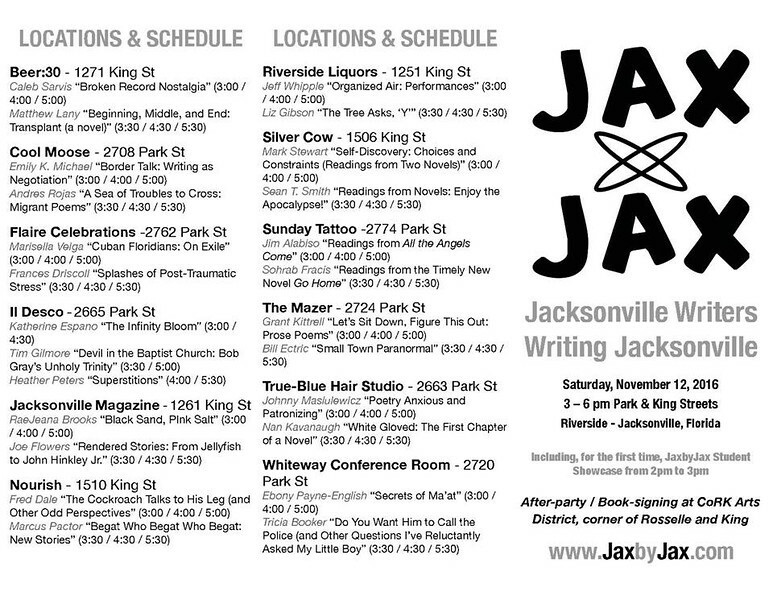 Organized by local writer Tim Gilmore in 2014, the literary arts festival is built on the theme of 'Jacksonville Writers Writing Jacksonville'. This year, the event will feature 25 local writers and will be hosted at twelve locally owned venues in Riverside’s King Street District. 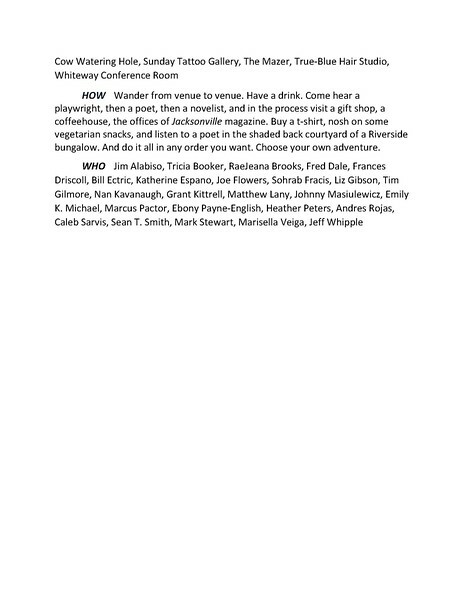 Here’s the details on a growing festival exposing a variety of works including poetry readings, short films and more.